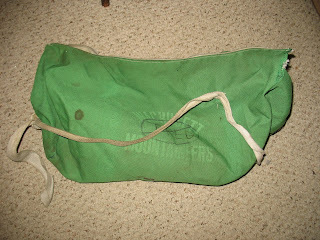 Note: This is the first in a two-part series on one of the greatest bags to ever grace the halls of Wachusett – Fred. This week the Wachusett Alumni Association announced its slate of inductees for the 2008 Wachusett Hall of Fame. Topping that list was Fred, the bag owned by senior class president Mo Cheeks. 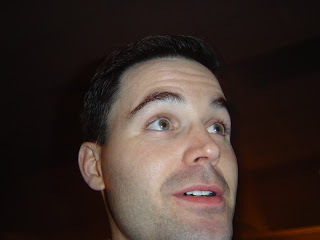 Fred’s legacy is well known to members of the Class of ’94. He averaged seven books per day at the height of his career, carrying a record 12 on May 28, 1992 during final week. It is a record that stands to this day. During his junior and senior years, Fred never missed a day of school. “The most remarkable aspect of that run was the fact that Mo Cheeks never used a locker those two years,” an astonished Amanda Fish said. In additon to books, Fred held hair gel, a calculator, a ruler, Wachusett track shorts, a contact lens case, knee pads, foot powder, nail clippers, swimming goggles and a mustache trimmer. “He will be the bag by which all other bags will be judged,” economics teacher Mr. Jaquith said. “A bag like that only comes along once in a lifetime,” valedictorian Diana Carlson said. But perhaps Fred’s greatest legacy will be a moment few had the chance to witness. Right after Mo Cheeks pulled the trigger and unloaded the dough for Fred, upperclassmen looked at him with envious eyes. “Fred was the subject of both hostage and death threats,” class historian Adam Porcaro recalled. The second part of this series will ask “what’s next?” in an exclusive interview with Fred who has never spoken publicly before. He will talk about what he’s achieved, what the hall of fame award means to him and where he is going. Over the past month, our office has fielded close to 8,000 phone calls from classmates and felllow alumni asking for advice on what to do with their stimulus checks from the IRS. Some of you may have already received those checks and many more will be receiving those in the mail shortly. After much deliberation and weeks of research, Class Economist and Vice President Tyler Bradshaw said there is only one choice: DONATE YOUR STIMULUS PAYMENTS TO THE CLASS OF ’94. Bradshaw then pulled out a bunch of graphs with lines pointing in different directions. “I don’t know what the hell these graphs means, but it’s scary,” he said. Last week, Bradshaw headed to Wall Street to talk with financial leaders and Federal Reserve chairman, Ben Bernanke, to see how our class might be able to turn the economy around. Their answer? “As the Class of ’94 goes, so goes the world’s finances,” Bradshaw said. Economists termed that day one of the grimmest in history. Mo Cheeks’ announcement that his statement was all a hoax, Bradshaw said, served to stabilize the market. That is why Bradshaw headed down to Manhattan last week. “I knew I had to go to Wall Street to bridge the gap between our class, special interest groups, lobbyists, and the financial sector,” he said. From that meeting, Bradshaw was given one directive: stimulus payments should go to our class, immediately if not sooner. The benefits will be widespread. “Our economy will rebound and we will have a lot of money to throw a kick [expletive] 15th year reunion with wine and cheese,” he said. Some other benefits he mentioned are a mariachi band, an inflatable bouncy jump, a dunk tank, a fruit platter, prosthetic hands, balloons and donkey rides. “If that stuff doesn’t help the economy, I don’t know what will,” Bradshaw said.